Since the launch of the iPhone X, a number of smartphone manufacturers have copied its signature ‘notch’ design. Most recently, Asus launched a bevy of iPhone X clones featuring a smaller, yet equally annoying notch. Now, if a recent report from Android Central is to be believed, the next flagship killer from OnePlus will also feature a notched display. The report cites a source close to OnePlus who revealed that the OnePlus 6 will feature a bezel-less display with a notch and a 19:9 aspect ratio. 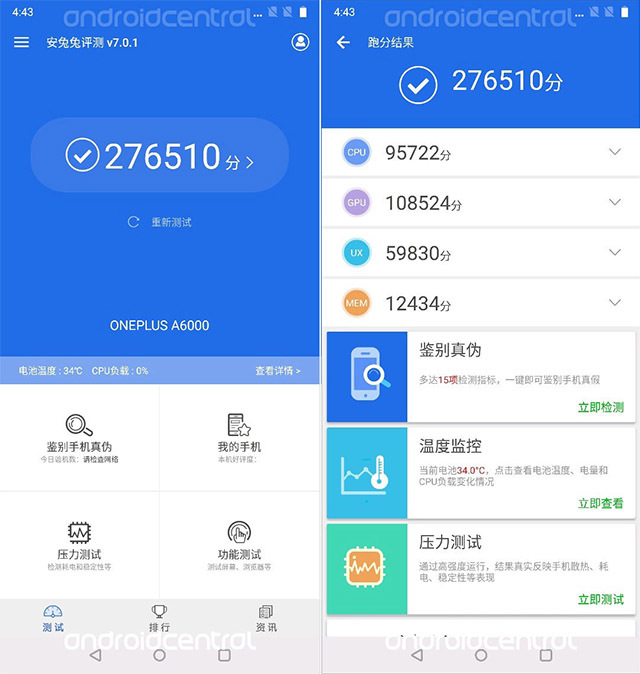 The publication also obtained AnTuTu benchmark scores of the OnePlus 6, codenamed A6000, which confirm that the device will be powered by Qualcomm’s latest Snapdragon 845 chipset. According to the benchmark results, the OnePlus 6 will most likely be a star performer. It posted an overall score of 276510, that beats Xiaomi’s upcoming Mi Mix 2S which was the previous record holder. 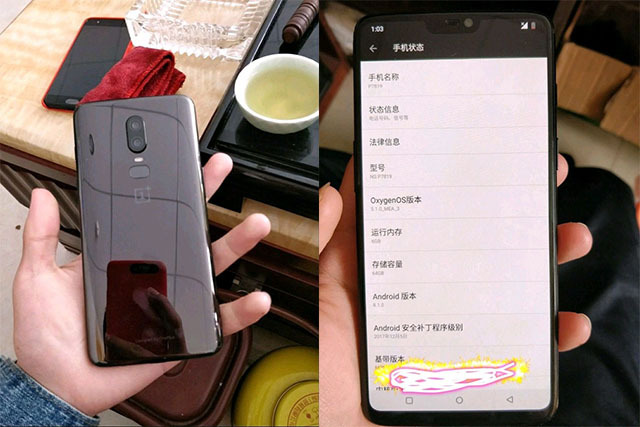 The source has also confirmed previous leaks about the OnePlus 6 that revealed the device in live images. According to the source, the system clock on the OnePlus 6 will be relocated to the left and the other icons will be moved to the right. This falls in place with the previous rumor that the OnePlus 6 would embrace one of the most controversial smartphone trends of 2018- a notch. The aspect ratio of the AnTuTu screenshots is 19:9, which also confirms that the smartphone will feature an 18:9 display, with some extra space at the top to accommodate the notch. Previous leaks have also suggested that the OnePlus 6 will bring back the glass back, which first made an appearance on the OnePlus X. However, recent reports haven’t confirmed the same. As of now the company has released no information regarding the release timeline, but it is belived that OnePlus might launch its next flagship earlier than expected.